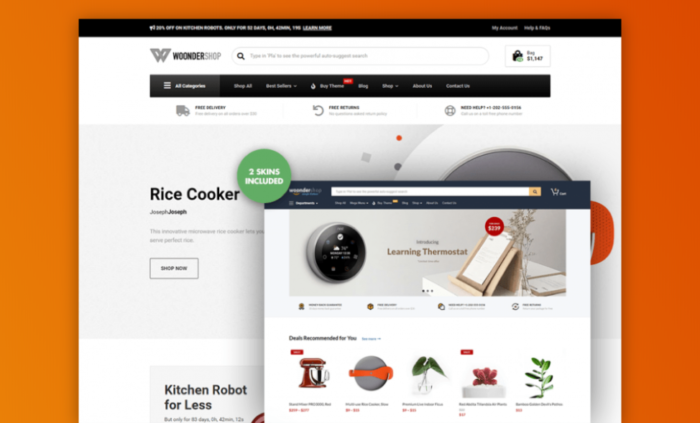 WoonderShop is a WooCommerce theme that meets the needs of every kind of eCommerce professional. Be it gadgets, makeup, attire or grocery, WoonderShop theme is your perfect fit. The theme is exquisitely designed that does not only look aesthetically pleasing but also gives a very professional feel. Highly responsive and is compatible with every gadget making sure it looks good on every screen size. The website loads within seconds without any delay. The theme is specially designed excluding all those features that slow it down. Approved by Google’s mobile-friendly test and is optimized for local SEO to draw more traffic. The clean and high-quality code ensures web safety. Compatible with Chrome, Opera, Internet Explorer and Firefox. This accommodates more people as not everyone prefers Chrome. SliderRevolution and LayerSlider enable the users to insert video on a homepage which looks very attractive. Pre-designed ready-to-use stores are available that can be customized to meet one’s needs. Appointment calendar that offers the option of booking an appointment for the clients in cases like spa and salon services or any other event. Header; you can add a header to your search bar or navigation menus. Footer; up to 4 widgets in adjustable columns can be displayed. Benefit Bar; it works great with shipping option and for highlighting customer service information. Shop Sidebar and Blog Sidebar; whether you want to add product filters or showcase your latest posts/products, sidebars are available to do the job for you. One of the most important things that is a must-have for every theme is its security. Considering how vulnerable eCommerce business is, security should be one’s top priority. Protected with advanced security, WoonderShop offers extra server security through CloudFlare-proof. ProteusThemes code has been reviewed and approved by WordPress experts which guarantees its high level of security. WoonderShop integrates well with all of the popular 3rd party plugins. The best part about ProteusThemes is that they regularly run attest check of plugins made by various developers making sure that they are compatible with most of their themes. This enhances one’s WordPress experience and makes the process of creating a website hassle-free. This feature lets the users directly type and search for the products they are looking for. Once the users type the name in the ‘Search field’, a dropdown search result appears listing the best matches. This feature is a major plus for every WooCommerce site especially if it contains a variety of categories of the products. WoonderShop offers a product filter widget that can be used in multiple ways. You can add it on any page, use it as a sidebar or even create a separate page and use it as an advanced product search. The theme offers a very nice and clean shopping cart without any distracting content or button that could lead you away. The checkout page is brief and collects all the necessary info without asking for any kind of future subscription that could distract the customer. WoonderShop offers easy customization for the majority of the features it has. It offers two options for the layouts; wide or boxed. The text font, color, and size can also be customized in the heading as well as the background. Navigation options are also available for desktops as well as mobile phones. The users can also create a blog page on their eCommerce website that can cover the latest trends worldwide. The blog posts appear in a responsive grid that makes your content stand out. You can also add a featured image to each post. The blog posts can be displayed in multiple ways; you can add the number of columns for the blog archive page, add ‘search for more’ option at the end or choose a sidebar for individual posts. WoonderShop has a mobile-friendly layout that looks equally good. The pictures do not look grainy on the mobile screen. This increases the outreach of your website as the majority of the users shopping online prefer doing it on a phone. ProteusThemes offer packages for its customers. ProteusClub membership is also offered which can be canceled anytime you want. Moreover, canceling membership does not affect the performance of your website. Since ProteusThemes regularly run compatibility tests on new plugins in the market, the themes are also kept up-to-date. The users are notified when the updates arrive and updating their theme is just a matter of one click. Whether it is about how to install and run a theme or getting help building pages, how-to- articles and demo import guide is there to assist you. For further assistance, contacting customer support directly is always an option. The theme supports 14 popular languages widely spoken around the world. Click on the language you want to translate your website in and it’s done. Support articles are also available to help the users. 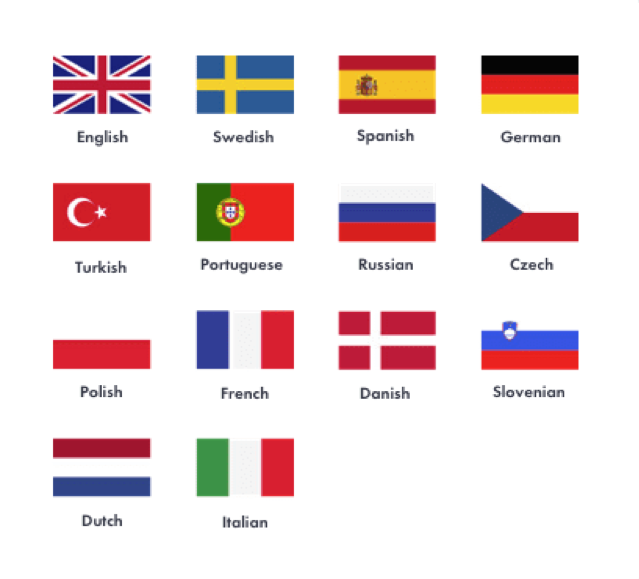 Learn more about WordPress Multilingual. Customer support is offered through live chat and is available 12 hours a day in EU and US time zone. The average response time is less than 5 hours. WoonderShop is one of the most popular eCommerce themes that is not only equipped with all the components that an eCommerce site needs but is also very safe. Be it a small or a medium size online store, the theme facilitates both the sizes equally well. If you are planning on creating an online store, do try out their free trial to see what is in store for you! Next Post Kinsta WordPress Hosting Review: How Amazing it actually is?